The portfolio of techniques that we use can be applied to a variety of soft matter systems, with the aim of rational design of new materials. Examples include packing of nano-objects, aggregation of polymers and nanoparticles with various interactions, self-assembly on elastic manifolds, and particle arrangment in thermal gradients. P. Wirnsberger, D. Fijan, R. A. Lightwood, A. Šarić, C. Dellago and D. Frenkel. Numerical evidence for thermally induced monopoles. arXiv:1610.06840 (2016). P. Wirnsberger, D. Fijan, A. Šarić, M. Neumann, C. Dellago and D. Frenkel. Non-equilibrium simulations of thermally induced electric fields in water. J. Chem. Phys 144, 224102 (2016). A. Šarić and A. Cacciuto. Soft elastic surfaces as a platform for particle self-assembly. Soft Matter 7, 8324 (2011). A. Šarić and A. Cacciuto. 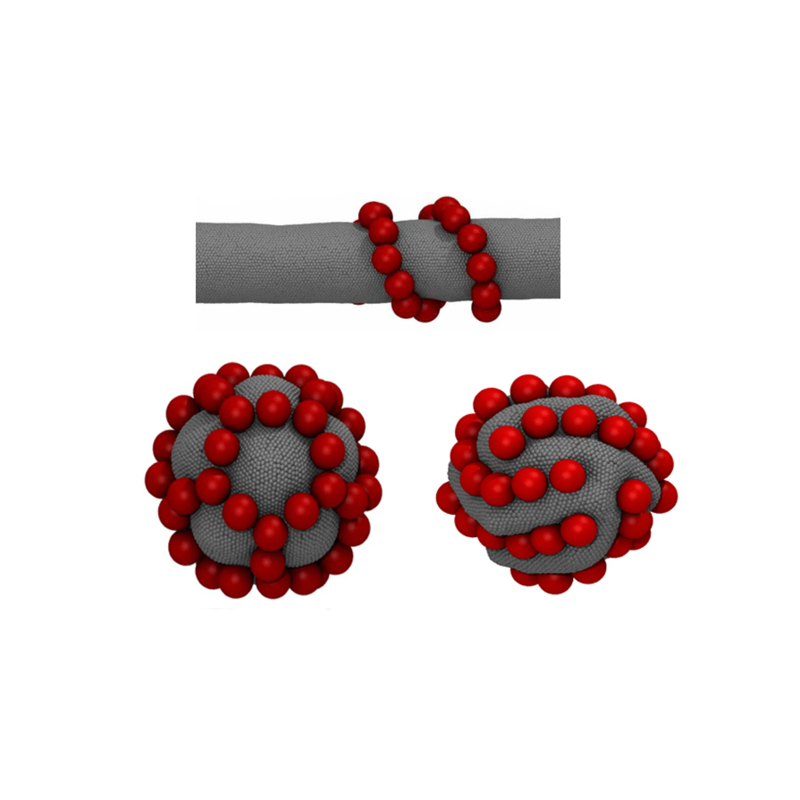 Particle self-assembly on soft elastic shells. Soft Matter 7, 1874 (2011). A. Šarić, J. C. Pàmies, and A. Cacciuto. Effective elasticity of a flexible filament bound to a deformable cylindrical surface. Phys. Rev. Lett. 104, 226101 (2010).